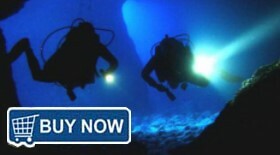 Come diving with us to explore the sunken Hawaii shipwrecks at night! Choose from either the Sea Tiger Shipwreck or the YO-257 Shipwreck. 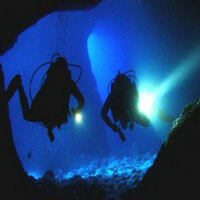 These are truly the best dive sites for scuba diving on the island of Oahu, Hawaii. Some Honolulu scuba company's start their dive at 5:00pm and really it's not much different then the day dives. Our dive starts after the sun goes down for a true night dive experience! Our price of $140.00 includes lights and Full gear rental. Night scuba diving provides a completely unique experience to any other dive you could possibly have encountered previously. On the night dive you will discover that your senses are substantially sharper and you are clearly far more conscious of what surrounds you. Visibility is greatly diminished on the night dive because of the darkness, though you may well experience areas of dense, almost black darkness, it isn't genuinely entirely dark. If you have never gone on a night dive it is one of those activities you'll either instantly appreciate, or hate, however it is certainly one thing you should definitely experience to find out. The moment your vision has familiarized for the underwater surroundings you can actually observe that the water surrounding you looks to possess a unique luminescence, also whatever movements one executes is usually traced in whirling designs of phosphorescence. This is as a result of the plankton in the water and the interference ones movements produces, something that is unnoticeable especially during the day. As soon as the sun goes down the brilliant colors from the daytime dives accompany it, additionally the bright colored tropical fish somehow find a way to diminish from view. Alternatively our ocean is occupied having a assortment of mollusks as well as crustaceans appearing out of their particular daylight concealment locations for any nocturnal hours feasts. This is certainly the opportunity for potential predators to appear, wildlife such as the moray eel that are primarily concealed from display throughout the day inside caverns as well as underneath coral reefs are visible swimming readily out in the open during the night. If perhaps you were becoming secure enough and ended up switching off your light in all probability discover that the reflected light provided by the moonlight as well as night sky offers certain illuminate below the ocean. Animals throughout the sea level which could seem dark or even black colored throughout the day, however in ray of flashlight these are typically disclosed as having breathtaking color.